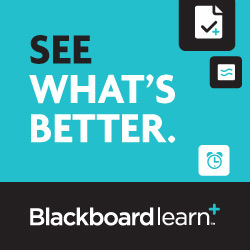 Are You New to Using Blackboard? We Have the Course for You! There is still time to sign up for professional development’s free Introduction to Blackboard course that counts for 1 FQAS credit hour. 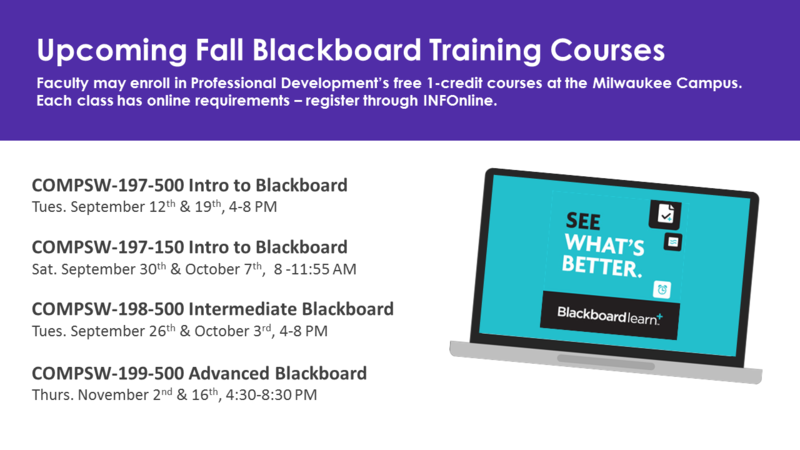 If you are new to using Blackboard and are looking for hands-on training opportunities, we strongly recommend enrolling in our free 1-credit professional development courses. See our complete Fall 2017 Schedule for more sections. 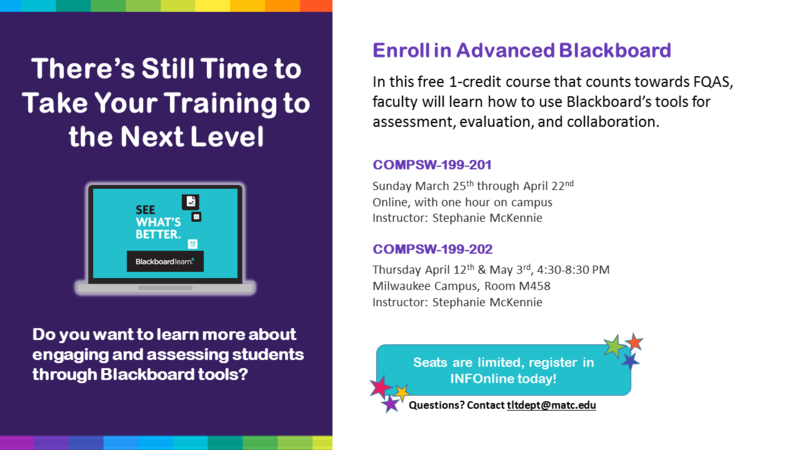 You may register for these classes online at INFOnline - seats are limited, enroll today!